Fuse Your Own Images onto Glass! Teaches how to easily, safely and inexpensively fire high quality photographs, graphics and text onto their fused glass projects using Fired-On Photo Fusing Decal Paper and any HP or Canon Black and White Laser printer. Takes all the guess work out of this exciting process giving step by step instructions and project ideas including instructions for colorizing sepia images. 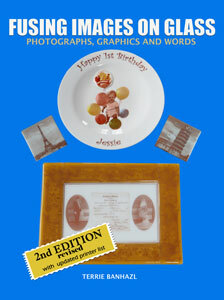 Filled with beautiful full color detailed photographs of exciting projects such as Wedding Invitation Plates, Family Portrait Brooches, Kids Own Drawing Tiles, Illustrated Stained Glass Panels and Treasured Family Recipe Platters. All fired images are permanent and food safe. Easily Turn Any Picture into A Memorable Piece of Art. Customize your glass art with this high quality water-slide fusing photo paper. 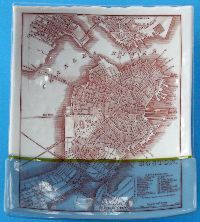 You can easily transfer photographs, or any pre-printed design, onto your glass art and your memories will forever be preserved in glass in a gorgeous sepia tone. Note: Will not work on Dichroic Glass. 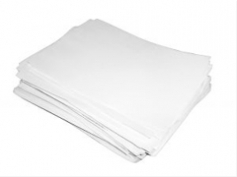 Pack contains 10 pieces of 8.5" x 11" photo sheets and firing instructions. Any HP or Canon black-only laser printer or copier will work. 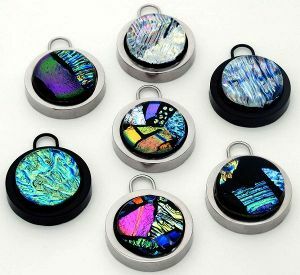 What a smart way to display your fused glass art than with a great looking zipper pull. 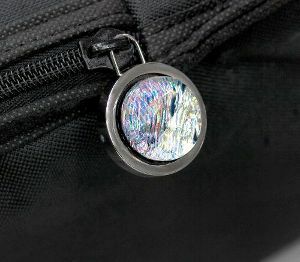 Connects to any loop that needs pulling such as a jacket zipper, suitcase zipper, or a backpack. 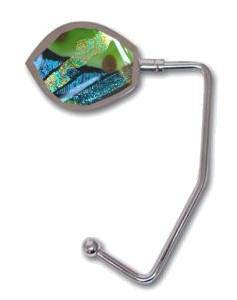 Recessed zipper pulls fit a 1" round glass cabochon. Package contains 2 pull tabs and 3 connecting wires per package. Cabochon not included. 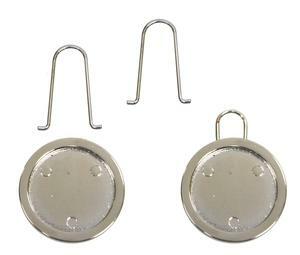 Keep Your Bags Safe and Clean with these stylish, innovative Purse Hangers! Decorate your hangers with a custom glass cabochon and you will be the talk of the table next time you are out with friends! 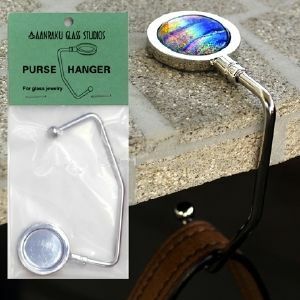 The sturdy, nickel-plated purse hanger is rubber backed to keep your bags secure, and holds up to 30 pounds. 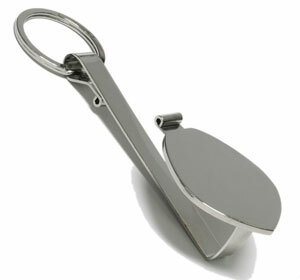 The 3 ¾" swivel arm folds flat to tuck easily into your purse or handbag, and opens easily to slide onto any table top. Round is 1" in diameter. Flat top measures 1 ½" at widest point x 2" high. 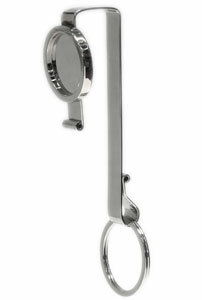 This clever key ring fits over the side of your bag so your keys are always within reach. 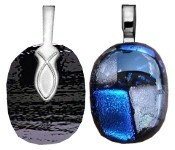 Decorate it with your own custom glass cabochon for a truly one-of-a-kind gift or make one for yourself! Nickel plated. Flat top, 1.5" at widest point. 2" high. Round top 1" diameter. Sold unfinished. 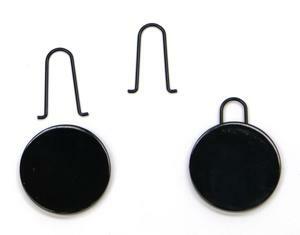 Create a 1" glass cabochon for the Standard or Round Key Ring Holder or a 1-7/8" x 1.5" cabochon for the Flat Key Ring Holder. 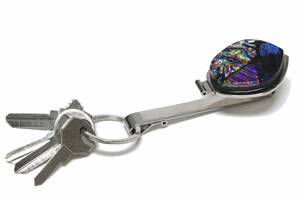 Then use any glass glue (such as E6000) to glue it into the pendent plate of the key ring. Key ring sold unfinished - You supply the art! Make opening bills fun! 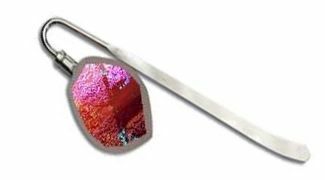 These handy nickel plated letter openers are a great way to slit open mail with a bit of flair and show off your artistic creativity. Simply add your own fused design with some E6000. Makes an excellent craft seller and gift. Round is 1" in diameter. Flat top measures about 2" x 1.6". Both are 8" in length. 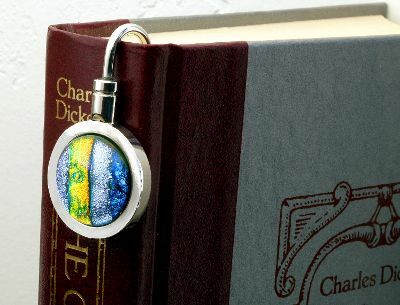 Mark your place in your favorite book with style! These handy nickel-plated bookmarkers are a great way to remember where you left off and show off your artistic creativity. Simply add your own fused design. Makes an excellent craft seller and gift. 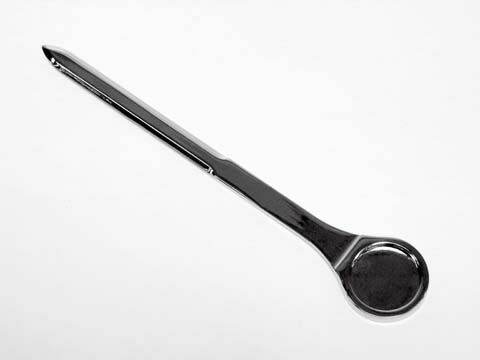 Features a swivel joint so it can fold flat. Round is 1" in diameter. Flat top measures 1.5" at widest point x 2" high. Clear, self-leveling formula. Provides superior adhesion on wood, metal, concrete, ceramic and glass. Adheres in 5-10 seconds, cures in 24 hrs. 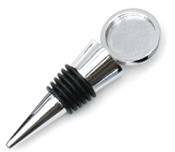 Elegant reusable stoppers for your favorite long neck bottle. 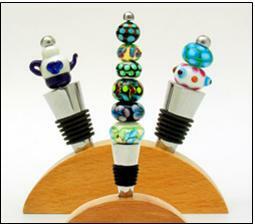 Customize and decorate with your glass beads, cabochons or fused glass cane. 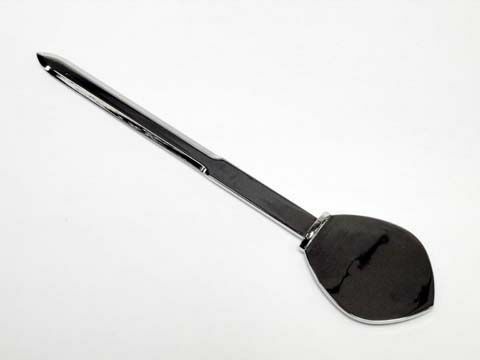 Made of heavy chromed metal with flexible rubber gasket. Approx. 4" tall. Stainless Steel or Wooden display bases are a great way to display your stoppers when they are not keeping your favorite wine fresh. 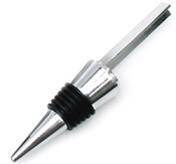 NOTICE: Bottle stoppers are for repeated short term use and not to exceed one week at a time. 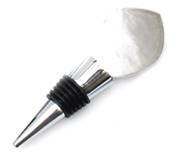 They are for display and serving not long term storage which can cause pitting and flaking of the plating due to acidic buildup in the wine from oxidation. 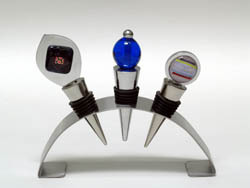 Display your custom-made wine stoppers in style with this contemporary stainless steel base. 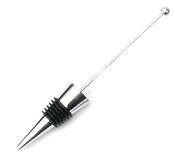 A great way to show off your unique bottle stoppers at parties or on your dinner table while the wine is in use! The modern brushed steel finish gives a professional feel to your kitchen or bar, and is easy to clean. 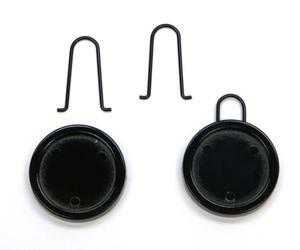 Holds three stoppers. 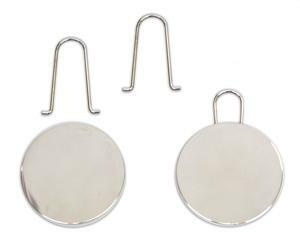 Click Here to see the Large Selection of Jewelry Bails available!